When it comes to sheer cleaning efficiency, gasoline-powered pressure washers output around double the power of electric machines. They also do away with mains AC power cords, allowing you greater freedom whilst cleaning. Though more powerful and convenient, there is a drawback; these types of washer require greater maintenance in the form of gasoline and oil. This is not limited to just one type of oil, either. Both your engine and pump will require a different kind of oil, and it’s important that you’re using the right product to keep your components in good working order. Below, we’ll look at the difference in these two types of oil. You should first change your pressure washer oil after around 10 to 15 hours of operation, as this will make sure that any micro debris left within the washer from the manufacturing process are removed. Once this has been done, you can revert to switching your oil every 180-250 hours, on average. 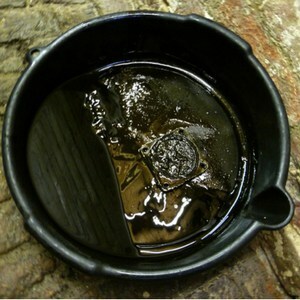 Alternately, you should also change your oil if it appears to contain particles or looks as if it has changed color. Oils that can be used within pressure washers vary from brand to brand. Regular brands are just straight oil, though it's possible to get synthetic oil, too. This will only be compatible with certain machines however. Some liquids also contain anti-freeze. The bottom line is that you’ll need to check your product manual to find out exactly which types of lubricant are compatible with your pressure washer, as determined by the manufacturer. Engine oil is a little more straightforward than pump oil, as it shares the same properties as oil used within automotive engines. A large majority of pressure washers with built-in engines use Honda engines are their preferred power source. This means that Honda engine-compatible oil can be used within these machines. 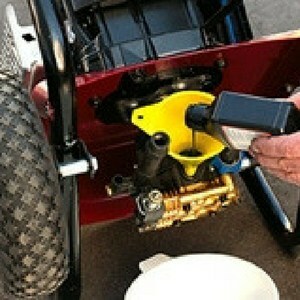 The same applies to any other pressure washers using other brands of engines. Your manufacturer’s manual will guide you in which oil to use with your engine. When changing the pump oil in your pressure oil, start by placing an appropriate drainage container underneath the machine, directly below the pump's oil outlet. Remove the oil cap and any drain plug – some machines may have these – and then consider whether your washer is the type that's going to require a funnel or tubing to help drain the oil. 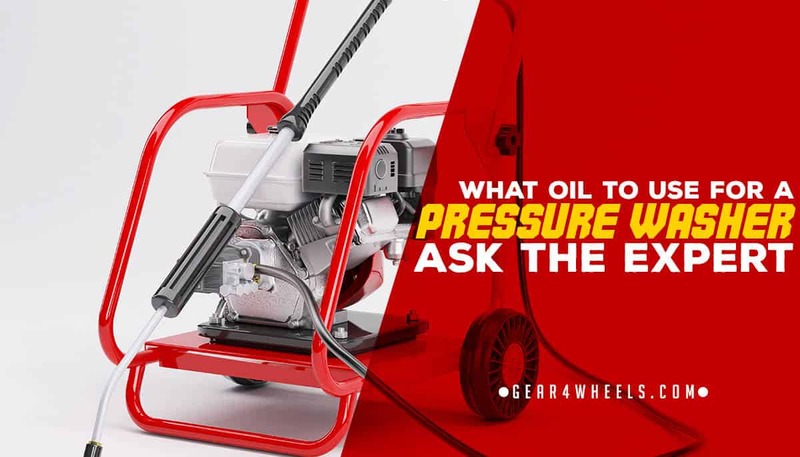 Once your pressure washer has drained fully, you can pour your new oil into the machine, before replacing the oil cap and reverting the machine to its upright position. Recommended: How Much Oil Goes Inside Your Pressure Washer Pump? Any old fluid removed from the machine will need to be disposed of responsibly and safely, by using an oil recycling center. It should never be poured away down a storm drain or onto natural surfaces. Your pressure washer requires two distinct types of oil to function properly: engine oil and pump oil. Both types should be changes regularly to ensure that your machine is functioning properly and most efficiently. Providing a full breakdown of all of the different types of pressure washer and oil types available would be very long and drawn out, so the best advice we can give is to check the owner’s manual that came with your washer.